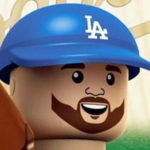 On this episode of “Dugout Blues,” Jared Massey (Dodger Blue) and I are back after a 3-week absence because Jared was on his death bed, or something. Don Mattingly is off to Miami and the Dodgers are down to three (or four) candidates in Bud Black, Gabe Kapler and Dave Roberts (and my hope is still for Dave Martinez). Anyone selected would be just fine. The Dodgers can’t really go wrong. The Dodgers have been quiet early this offsaeson. The only real transaction of note is the fact Brett Anderson accepted the qualifying offer. We also touched on the Andrelton Simmons and Craig Kimbrel deals. We also give a brief update on the winter leagues. The name to watch going forward is Jacob Scavuzzo. Finally, we close with a Q&A. Lots of them this time. Please keep them coming.